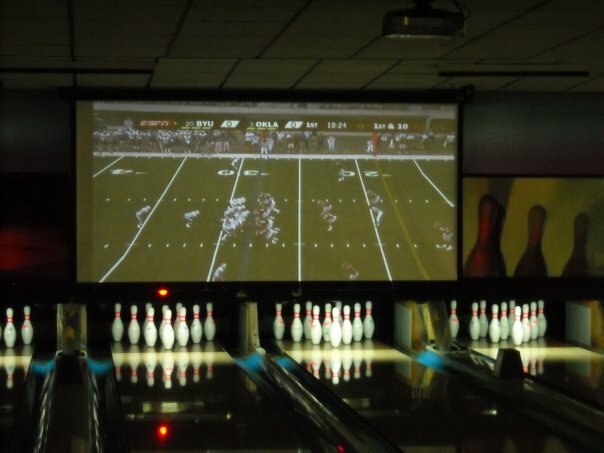 Your Cosmic Bowling Experience In Red Lion! Lion Bowling Center Glow Bowling is your Cosmic Bowling experience in Red Lion. Laser Lights, Disco Lights, Black Lights, and Runway Lights. Haze machines pumping out fog. LOUD heart pounding music. Our bowling lanes even glow in the dark during our Extreme Rock N' Glow Events! Join us for a night of Glow Bowling and bowl under the disco lights and (not too) loud music! Glow Bowling is held every Saturday Night from 9pm-11:30pm. The cost is only $10.00 per person and includes unlimited bowling, music videos on our big screens, our awesome sound system and great light show!